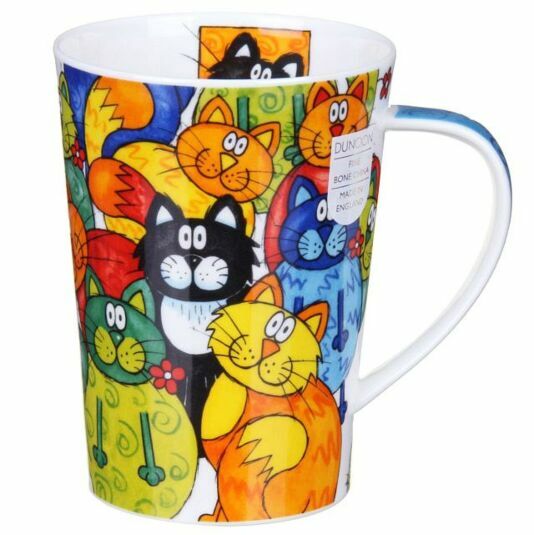 This tall mug features a myriad of moggies, all with slightly mesmerised expressions, packed together in a dense design. The cats are every colour of the rainbow, from blue and yellow to orange and green, with stylized patterns on their bodies. The ‘hidden’ creature on this mug is a startled-looking black and white cat whose portrait is also inside the rim. 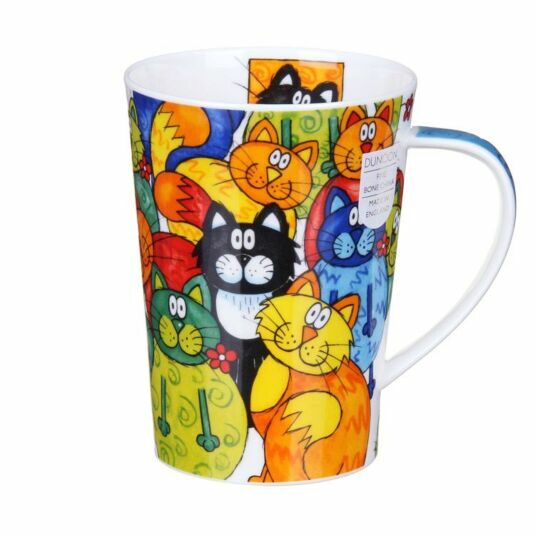 This vibrant mug from Dunoon is a great gift for anyone who loves cats and has a sense of humour.